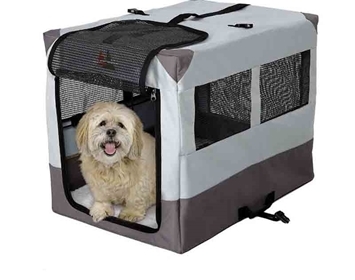 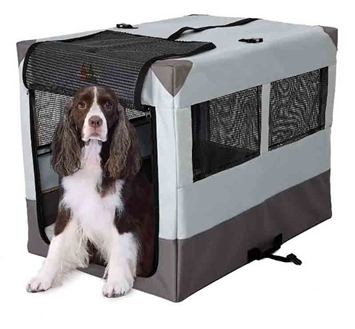 The Canine Camper Sportable™ is a portable, tent-style, “pop-up” crate great for people who want to travel with their dogs. Ideal for hotels, motels, dog shows and other uses, the Sportable™ features a sturdy, folding steel frame and is made from water resistant material. 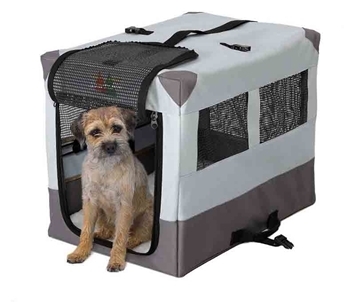 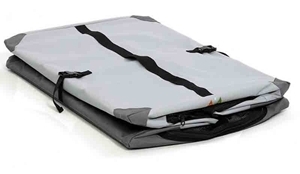 Easy to fold up and down, the Sportable™ includes a synthetic sheepskin pad for comfort and the entire crate folds down, clips shut and has a carrying handle for easy transportation. 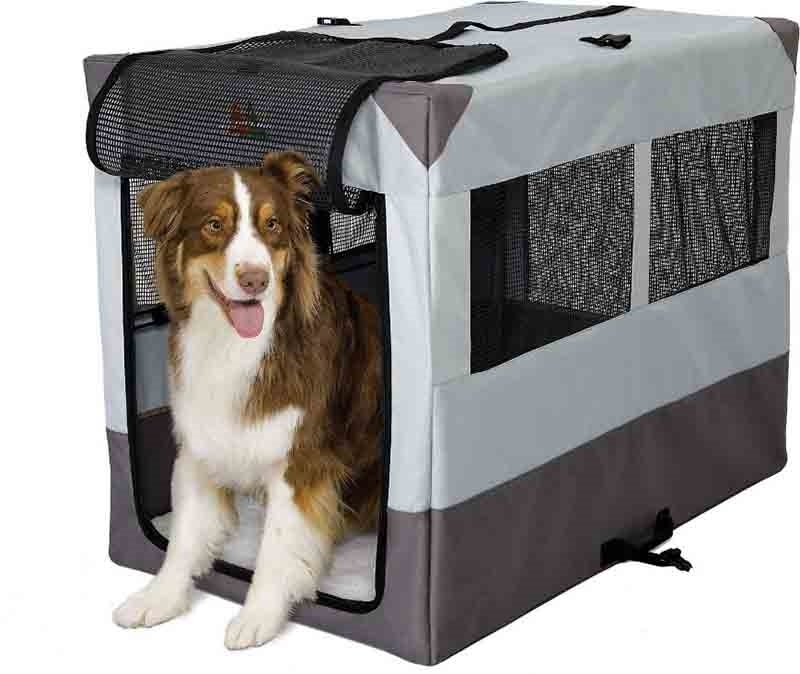 The durable mesh windows allow for air circulation and along with the mesh, zippered-door, help your dog to feel secure and at home, but not trapped when in the Sportable™.